Dubai World Trade Centre (DWTC) has partnered with Careem, the ride-hailing app, to improve ground transportation services at the region’s leading MICE venue. Careem will optimise its presence at Dubai International Convention and Exhibition Centre (DICEC) with dedicated pick-up and drop-off ranks to facilitate the arrival and departure of DWTC visitors. 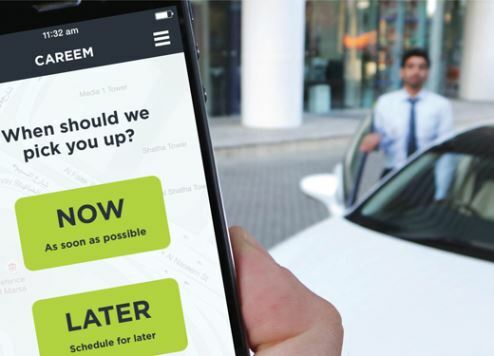 Careem will not only ensure visitors have swift, direct and effortless access to the venue, but will offer customised incentives designed to reward users. The diverse events calendar at DWTC comprises nearly 90 top-tier events that each attract more than 25,000 visitors at a time. “DWTC is continuously engaging with digital innovation to deliver higher standards of customer experience. By partnering with Careem, we are delighted to engage with smart technology solutions to implement a smoother traffic management system that will enhance visitor experience to our expanding calendar of events,” said Abdulrahman Abushawarab, SVP protocol and security, Dubai World Trade Centre. Mudassir Sheikha, co-founder and CEO of Careem, added: “Owing to its packed calendar of events and exhibitions, the Dubai World Trade Centre is an extremely busy venue that hosts tens of thousands of visitors year-round. Our MoU with DWTC will help make transportation to and from the venue simpler and more convenient and allow visitors to take advantage of special promotions to attend prominent events taking place throughout the year. DWTC hosted 104 large-scale events attracting 2.6 million delegates in 2015, of which 1.19 million (46 percent) hailed from overseas. These major exhibitions, trade events, conventions and conferences contributed AED12 billion to Dubai’s economy, or 3.1% of GDP, according to DWTC’s latest Economic Impact Assessment Report.